The scholarship window for 2019 is now open. We will accept applications from 12/1/18 to the postmark deadline of June 1, 2019. Information on the different scholarships we offer are listed below. 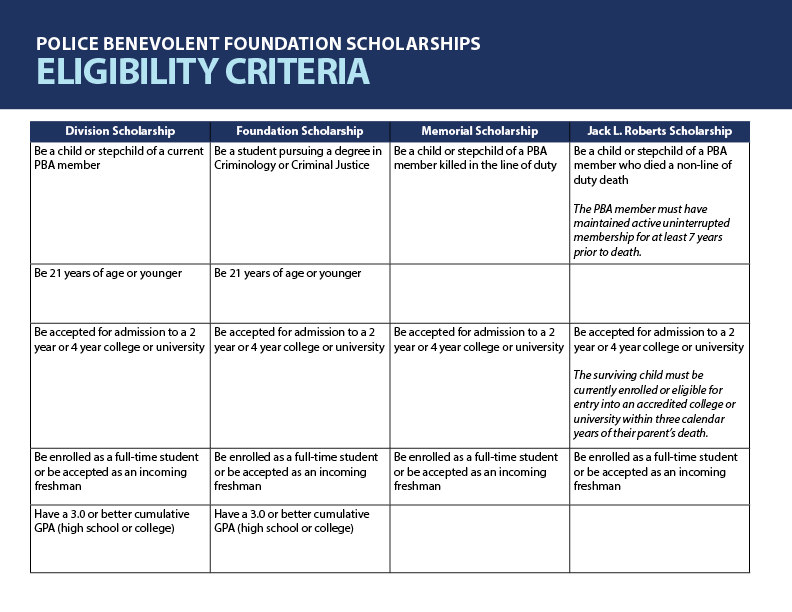 Submission of an application does not guarantee that the applicant will be awarded a scholarship. This is a selection process with specific selection criteria; each application will be reviewed by the selection committee. We would like to wish each applicant the best of luck and a prosperous future. Questions? scholarship@sspba.org or call 1 (800) 233-3506 ext. 235.